I have to admit this one caught me unawares, Dear Reader. Sometimes the Tinfoil Helmet Brigade appear, at first, as disarmingly rational as you or I. Take Mrs Middleton, for example. She calls the office asking to make an appointment to discuss a missing persons enquiry. She lost contact with her daughter some 10 months prior and was running out of options. "No problem", says the hapless hero. "My office door is open". Little did I know that I too was merely a cog in a greater machine. A machine of conspiracy and intimidation. At the appointed time a matronly woman arrives at the office. By all outward appearances Mrs Middleton is your typical grey-haired and middle-aged woman; dressed in a brown cardigan and sensible shoes, she looks like anyone's grandmother. She is pleasant and courteous and obviously not wearing any tinfoil accoutrement (because that's how you spot them). No, she seemed like your normal, run of the mill, prospective client. Mrs Middleton's Tale of Woe centred around her daughter, Priscilla. Almost a year ago Priscilla was moving houses and, well, just disappeared. She hadn't told her mother where she was moving to and then her landline and mobile phone numbers were no longer active. Around this same time Mrs Middleton was having problems with some neighbourhood rascals. She found that her house had been broken into several times and there had been some vandalism. She'd made complaints to the Police who seemed ineffectual and had gone to the extent of having Trespass Notices served on several neighbours. Because of the escalation of these activities against her, and the inability of the police to do anything, Mrs Middleton also had moved house and had her phone number changed and was unlisted in the directory. She now feared that Priscilla would not be able to contact her either. Mrs Middleton had also contacted the Police regarding Priscilla and was brusquely informed that her daughter was a drug addict. When she went in person to make a missing person's complaint, she said she was literally thrown out from the station. This was one of the reasons she'd taken steps to contact a private investigator. Now sitting down and talking to Mrs Middleton, you would think that while there are some oddities in her account.Why had the police acted the way they did, for example? Why was she being victimised by these neighbours? But Mrs Middleton seemed disarmingly rational and sane - perhaps she was exaggerating what had been happening, or misconstruing events. Be that as it may, the case was simple: locate Priscilla. I was given biographical details of Priscilla, several old addresses and places of work, the name and employment details of her last flatmate etc. With this information I was able to locate Priscilla reasonably quickly and, as in all such cases, I personally visited her and explained why I had been looking for her. Well, after speaking with Priscilla at length it appears that the reason that she cut off communication with her mother is because Mrs Middleton is, medically speaking, barking mad. The alleged persecution from criminal elements in her previous neighbourhood which supposedly culminated in a family pet being murdered just never happened, according to Priscilla. She cut ties with her mother when Mrs Middleton announced she was going to appear on a national TV programme about hostile neighbours. Her family asked her not to, knowing that many of her claims were just not true, and that it would bring negative attention to all concerned. Mrs Middleton persisted and this marked a change in familial relations to the point where several other family members have also cut contact. Priscilla also stated that her mother had made several attempts to contact her at work and had finally been told not to call around again otherwise she would be trespassed from the premises. Priscilla was at a point in her life where after having tried to get her mother to seek help and failing, she made the decision to no longer be a part of her life until she recognised she needed help. But now I was involved and I would have to tell Mrs Middleton that while her daughter was alive and well, I was not able to give her current whereabouts out as I had been specifically asked not to. Priscilla said that it was likely that her mother would now also point the finger of blame towards me and draw me into this web of intrigue against her. I tried to be as diplomatic and tactful as possible and told Mrs Middleton that her daughter was hale and hearty, did not appear to be a drug addict but just didn't want to talk to her at this stage and would initiate contact when she thought it was appropriate. Well, Mrs Middleton then launched into a tirade that she thought I might be beyond the coercion of the criminal elements that had been hounding her and had forced her daughter to cut contact with the woman who had raised her for twenty three years etc etc. I suggested that perhaps rather than looking at external forces at work she might be better off having a family meeting to sort out some issues. That set her off again - supposedly these criminal elements had already infiltrated the family and were responsible for a number of other ills. And now I was part of that, clearly her daughter was being coerced into breaking all contact and I was also being turned against her, just like the police. I fairly much left it at that - what else could I have said that would make any difference? I contacted Priscilla again and informed her of what transpired. Perhaps her mother would seek another investigator who might have no qualms over giving out her address. And having done the work, and a damned good job too I might add, I'm probably not going to see a cent. Nothing wrong with having a tin-foil hats folks. 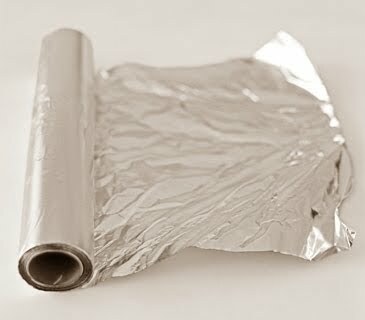 Unfortunately, the current and widely used tin-foil hat design may actually help the Government and others listen in our activities. Be warned, they are listening to everything we say. If anyone is wondering, I'm still awaiting payment.